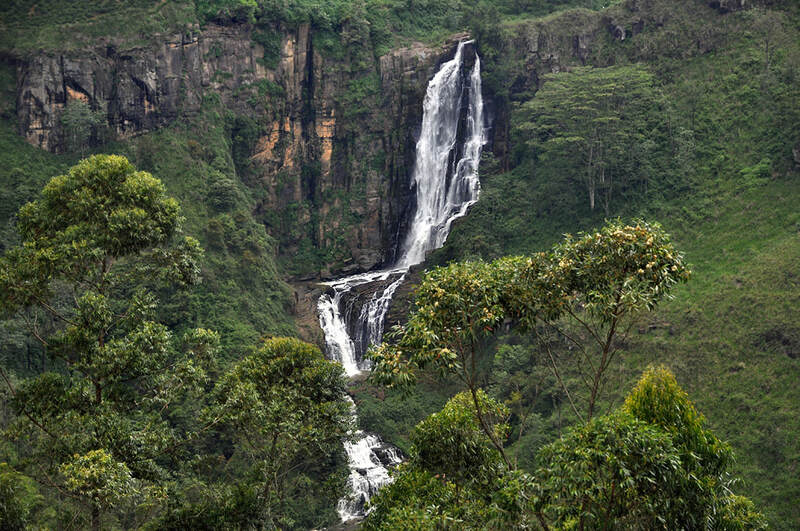 Devon Falls is a waterfall 6 km west of Talawakele at the A7 mainroad from Nuwara Eliya via Hatton to Avissawella, not far from St. Clair’s Falls. Near a Two car parks as observation platforms can be found along the road, which offer perfect views to the three drops of the waterfalls. 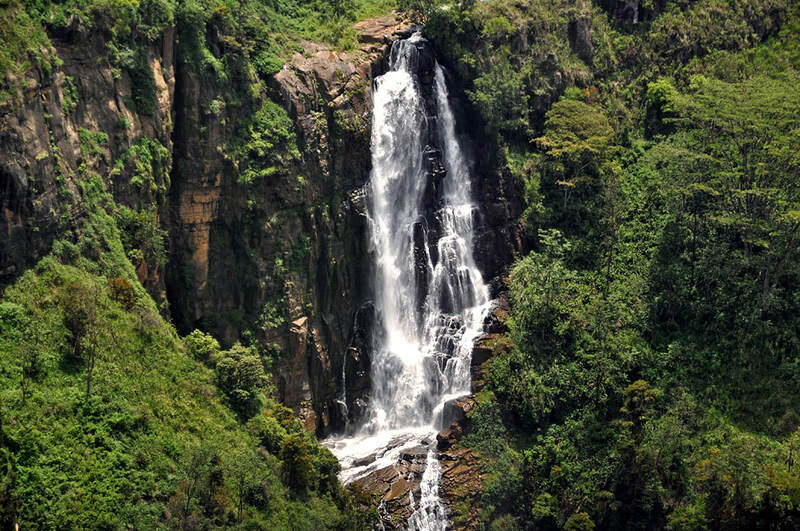 With a total height of 97 metres, it’s one of Sri Lanka’s 20 tallest waterfalls. Devon Falls is formed by the Kothmale Oya, which is a tributary of the Mahaweli Ganga, Sri Lanka’s longest river. Devon Falls is situated at an altitude of about 1,150 m above sea level right in the centre of Sri Lanka’s largest tea growing region, Dimbula. The waterfalls are named after an English coffee planter. The nearby Devon Tea Estate had originally been a coffee plantation.